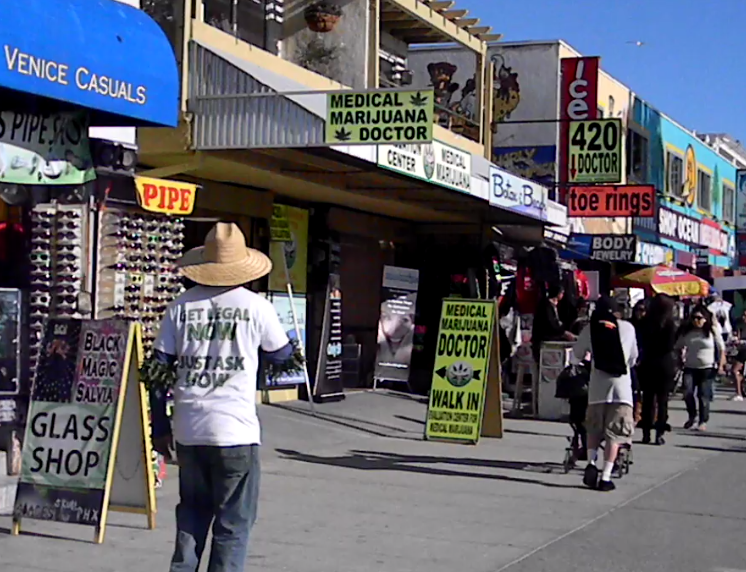 This might not look like your typical medical centre or hospital, but if you need a prescription for marijuana, you’d be most successful in getting one on the streets of Venice Beach. This entry was posted on February 22, 2011 by egorsky. It was filed under Cultural differences, Only in..., The US . What is the legal situation regarding marijuana in California? do you know anything about the attitude towards things like injecting rooms? I had an idea that was anathema, but could be out of date, and I guess it depends on which state you are in. Yes, the apparent hypocrisy is very interesting – what do your US college friends say about this? I am fairly certain that marijuana is mostly illegal in California, but a market exists for people who use it for medical treatments. It is more socially acceptable to smoke weed here, and you can occasionally smell it around campus. There are stores around LA where you can buy hookah, which I have never seen in Australia. Fortunately I don’t have friends who smoke, I think they are not really into that kind of thing. To be honest it scares me a little bit, I mean, I don’t want to be deported for showing mild curiosity about marijuana.